What is the purpose of a three bolt clamp? | Piping Technology & Products, Inc.
What is the purpose of a three bolt clamp? 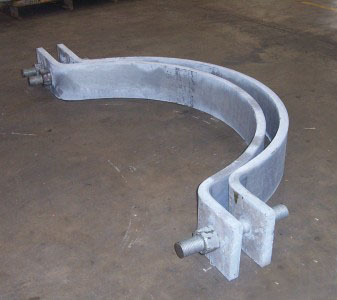 A three-bolt clamp is normally used for horizontal insulated piping, which utilizes clamping bolts to attach the clamp to the pipe and a separate Load Bolt to transfer the piping weight to the remainder of the Pipe Hanger Assembly from a point outside the insulation.